Interview Us. And Build Relationships in the Process.  Are you a student considering attending Gordon College? Set up a time to meet with your Admissions counselor while you’re on campus. This gives you a chance to interview us. What better way to solidify your decision that Gordon is the perfect place for you by asking us questions and building a relationship with your Admissions counselor? This also gives us a chance to get to know you better. A lot of paper applications come across our desks but meeting with you in person makes you jump off the page and leave a lasting impression. So when you visit, set up a time to talk with your counselor. If you can’t make it to campus, set up a time to connect on the phone. We want to help you make this decision as easily as possible—and we want to get to know you better! What draws you to Gordon College? Consider what you want in a college. Bring questions to ask us that will help inform you on whether or not Gordon can offer what you want and need in a school. Why would a Christian college be a good fit for you? What draws you to studying here? What has shaped you into the person you are today? We want to know what makes you unique, where you grew up, what your hobbies and interests are. Who knows? You may have a lot in common with your Admissions counselor! You can schedule an interview on the registration form for any visit or schedule something over the phone with our visit team: 866.464.6736.